It took me forever to finish, but I finally did it. I finished John Dickie’s “Delizia! 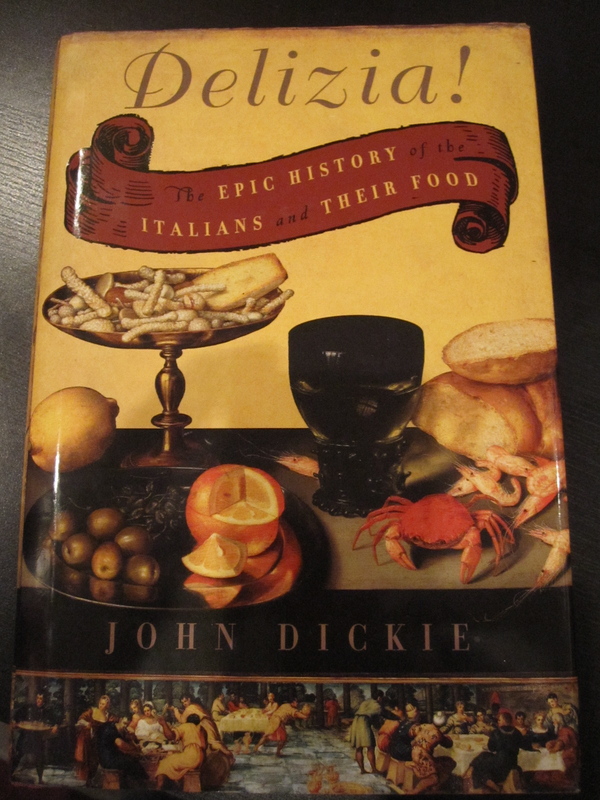 The Epic History of the Italians and Their Food.” Normally I breeze through books (the ones I like anyway) but this one was so detailed in its historical account of Italian food that I had to make my way through it a little more carefully, a little more slowly. The book starts in Medieval Italy (which wasn’t actually Italy back then) and works its way through the Renaissance, papal scandals (yes, they’ve always existed), the official establishment of Italy as the country we know today, the late 19th century and early 20th century flood of Italian emigrants, the first World War, the rise and fall of Mussolini and the second World War, and finally through the second half of last century and into the current one. It was intense in its attention to historical detail but definitely a good read. I’m not a huge history buff, but history told through food? Well, that’s more my style.